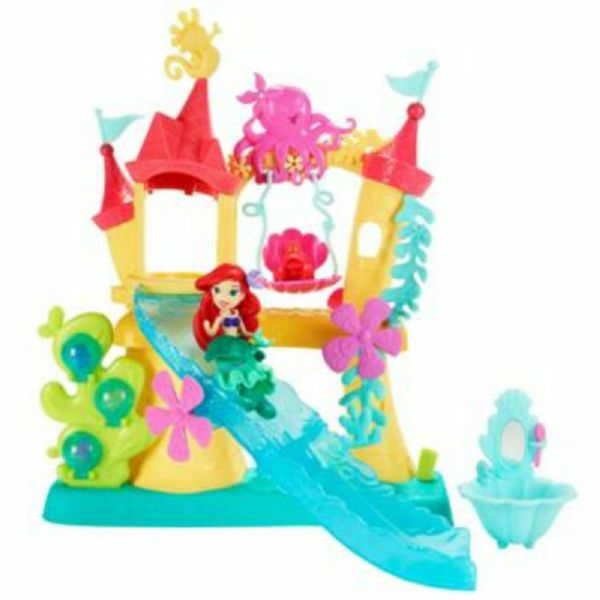 Join Ariel and Sebastian on exciting adventures in this palace playground! Ariel's Sea Castle comes with a slide, swing, and vanity. 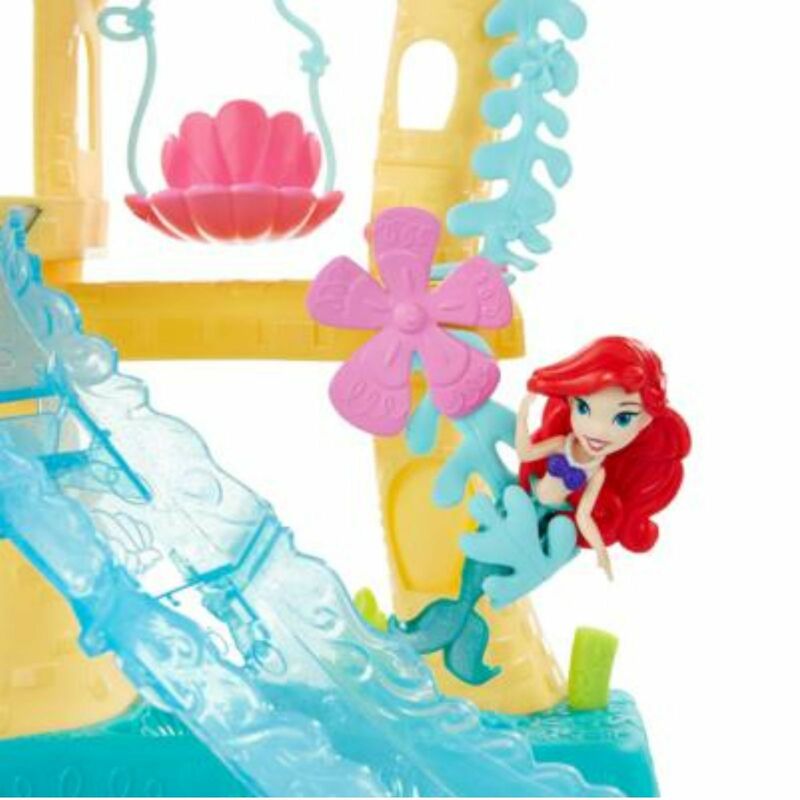 Place Ariel in the seaweed harness, and make her do flips in and out of the water. 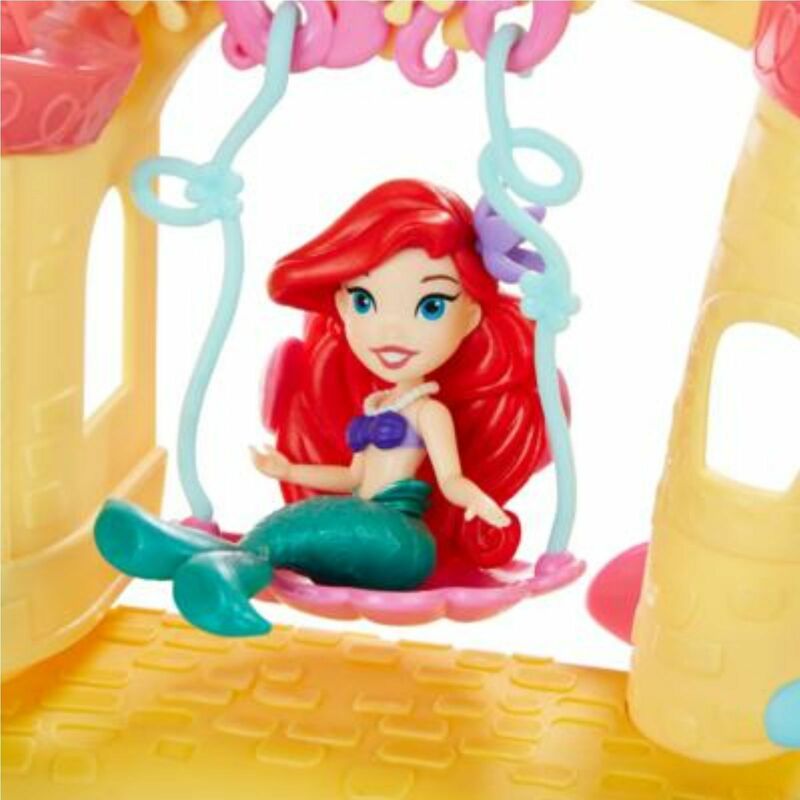 She can splash, swing, and spin in her castle! 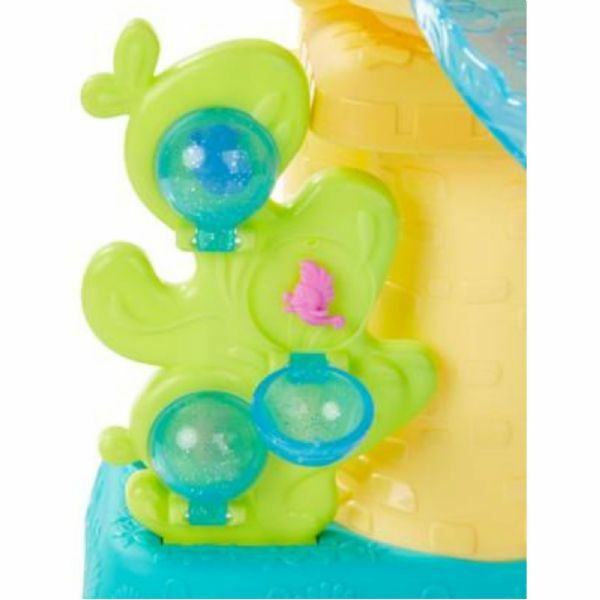 Keep the fun going with a back scrubber, a bathtub, and Sebastian. 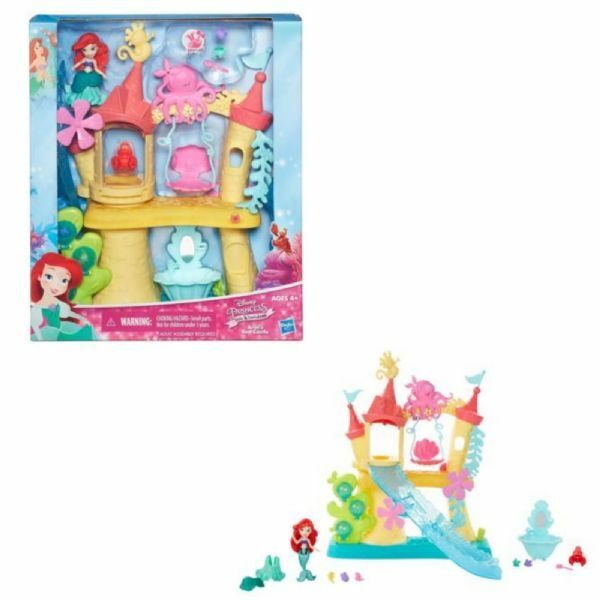 Your little dreamer can keep the fun going by creating Ariel's outfit and accessorizing her with the included Snap-ins.